Spending 3 days 2 nights to discover two most famous highlights in the north of Vietnam with luxury accommodations of Hotel De L'Opera Hanoi and Legend Paradise Luxury Cruise. Hanoi - the old age capital of Vietnam and Halong Bay - the UNESCO World Natural Heritage Site. Visiting different attractions, enjoying high quality services, you will have a great journey and discover the beauty of the land and the people of Vietnam. On arrival at the airport, you will be welcomed and transferred to the hotel at city center. In the afternoon, tourists will take part in Hanoi City Tour for visiting highlights in the capital of Vietnam: the Opera House – a colonial architectural work witnessing important historic events, Ngoc Son Temple and Hoan Kiem Lake – the heart of Hanoi which contains a myth in its and the Old Quarter – the most bustling commercial center of Hanoi. At last, you will enjoy a Water Puppet performance before savoring welcomed dinner held by Holidays Vietnam. 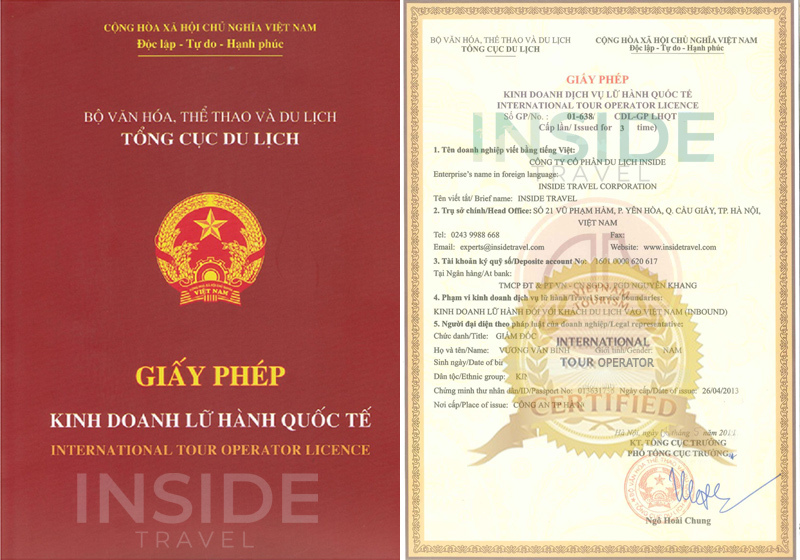 After breakfast at the hotel in Hanoi, you will be transferred to Halong Bay on private car. This journey might take you about 4 hours. Around noon, you will get on the boat at Tuan Chau Island and then enjoy your wonderful tour around the Halong Bay – the UNESCO World Natural Heritage Site. In the journey, you will visit Amazing Cave – one of the most long-lasting and palatial limestone caves in Vietnam, enjoy sunbathing and swimming in pristine beaches, and explore some floating villages. You may choose to enjoy high quality services of Spa, Beauty & Massage on the boat before savoring a great dinner with the skillful demonstration of the chef. Tasting extremely fresh and delicious food will fulfill a wonderful day in your journey. At last, you will enjoy romantic scenery of the bay at night and enjoy staying overnight on cruise. At the break of dawn, there is a Tai Chi demonstration on the sundeck for tourists to join in. After breakfast, you will continue exploring more 2000 islets at all shapes and all sizes on the blue jade water surface in Halong Bay. At around 10.30 AM, tourists will get off the boat at Tuan Chau Island – ending your journey in one of New Seven World Wonders. Lastly, you will be transferred back to Hanoi.